A distinguished tracker, John Watkins (nick-named Sir Watkin Wynne), was born about 1830, probably in Wiradjuri country between Bathurst and Forbes Sydney Morning Herald 9 August 1887: 8. I have inferred the broad area of Watkin’s birth place from the area where he is first mentioned in the historical record and the area to which he returned after retiring from the police.. He is first mentioned in the press in May 1856 when he and another Aboriginal man named Tommy Lawson were briefly imprisoned at Bathurst for drunkenness. Afterwards, he moved to the Braidwood district where he took up a tracking position from June to September 1866 and then from January to August 1867. It was during this time that he pursued and helped to apprehend Thomas and John Clarke, two brothers from the isolated valleys to the south of Braidwood near the headwaters of the Shoalhaven River. The Clarke gang terrorised the Braidwood district for two years, robbing horsemen, gold buyers, coaches, stores and homesteads. 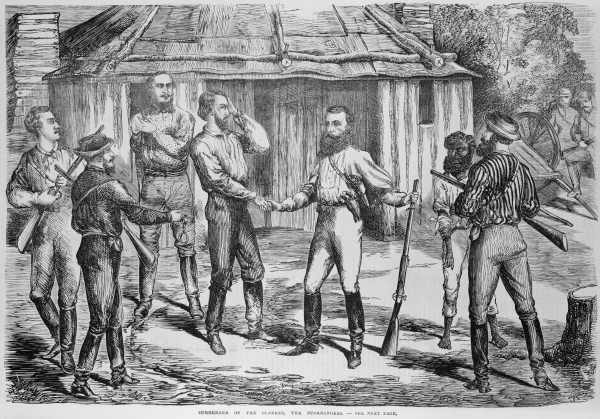 Efforts to capture the bushrangers were intensified after the murder of four Special Constables near Jinden in January 1867. By early April there were over 150 police and at least three trackers (Watkins, George Emmott and another named Thomas) were in the Braidwood district and the net gradually closed around the gang, who now only consisted of Thomas and John Clarke. In late April, John Watkins was part of a patrol which consisted of Sergeant Wright and Constables James Wright, Edmond Egan, Mr Lenehan and William Walsh. All were armed. On 26 April in the early evening, they approached the hut of a selector named Berry who was married to an aunt of the Clarke brothers. The presence of two horses not usually on the property indicated that the brothers might be inside. The police took up vantage points around the hut, with Watkins and Constable Lenehan positioned behind a haystack. Two men emerged from the hut at dawn the next morning. A shoot-out ensued as the brothers retreated to the hut. A brief lull enabled Berry and his family to escape. Watkins was severely wounded in the wrist from a bullet probably fired by John Clarke. He dropped his rifle and the wound bled profusely; Constable Egan bound it up and then continued firing Sub-Inspector Wright deposed after the shoot-out that Dr Patterson passed a probe “up through the wound for about nine or ten inches”. The impact of the bullet “smashed” the wrist bones (Sydney Morning Herald 14 May 1867: 2). Unfortunately, the arm was later amputated (Sydney Morning Herald 9 August 1887: 8).. Constable Walsh was also shot and he, too, survived. The battle continued throughout the morning, although the frequency of shots decreased. Thomas and John Clarke surrendered after the arrival of police reinforcements in the early afternoon. They were taken to Braidwood and charged with wounding Watkins. Other charges of murder followed, and they were found guilty at Darlinghurst Central Court at a trial held on 28 May. Sentenced to death by hanging, the execution took place at Darlinghurst on 25 June O’Sullivan 1973: 131-136; New South Wales Police Gazette 1 May 1867: 145; Sydney Morning Herald 14 May 1867: 2..
We notice the death at Forbes of Sir Watkin, a well-known black tracker in the police force. Many residents of this district will recollect him as being with Senior-constable Wright (now sub-inspector), then stationed at Fairfield. Sir Watkin was with the police party when the Clarkes were captured at Berry’s hut at Jinden. He was on that occasion wounded severely in the arm by a bullet from one of the bushrangers, and the poor fellow afterwards had to submit to his arm being amputated, since which time he has been in the receipt of a pension from the Government. He must have been between 50 and 60 at the time of his death. The reference to the pension may refer to the reward, which may have been handed to Watkins in instalments. A death certificate was not recorded and it is not known whether he has any descendants. An information board in the Deua National Park, not far from the scene of the shoot-out, includes the sketch shown above and memorialises the capture of the Clarkes. But the image of Watkins is partially cut off and his contribution to their capture is not mentioned. 1. ↑ Sydney Morning Herald 9 August 1887: 8. I have inferred the broad area of Watkin’s birth place from the area where he is first mentioned in the historical record and the area to which he returned after retiring from the police. 2. ↑ Sub-Inspector Wright deposed after the shoot-out that Dr Patterson passed a probe “up through the wound for about nine or ten inches”. The impact of the bullet “smashed” the wrist bones (Sydney Morning Herald 14 May 1867: 2). Unfortunately, the arm was later amputated (Sydney Morning Herald 9 August 1887: 8). 3. ↑ O’Sullivan 1973: 131-136; New South Wales Police Gazette 1 May 1867: 145; Sydney Morning Herald 14 May 1867: 2. 5. ↑ Fifteen years before, George Suttor was a member of the “Mounted Patrol”, meaning that he was probably employed as a tracker. George gave this profession when acting as informant for the death of his young daughter, Elizabeth Bridget Jane Susan Suttor, who passed away in Bathurst on 19 April 1856 (DC 1856/001676). The surname probably came from an association with the Suttor family who owned Brucedale, a property where Aboriginal people found refuge during the Governor Brisbane’s declaration of martial law in 1824. Windradyne, the Wiradjuri resistance leader, is buried on Brucedale (Barker 1992: 72-77). 6. ↑ George Miranda was born in 1822 and died at Rose Vale near Lithgow (DC 1882/008844).